C. S. Lewis and the Island of His Birth provides a wonderful new addition to every C. S. Lewis fan and scholar’s library. The book is written by Sandy Smith, a Lewis scholar himself, hailing from Belfast, Northern Ireland. 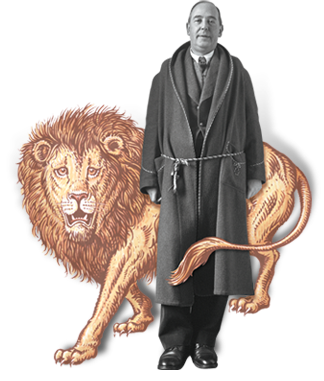 Smith was in an ideal position to write this book since he was the developer of a popular lecture tour of links between C. S. Lewis and Belfast. This book not only takes us on a tour of Lewis’s Belfast, with detailed text and beautiful full color photographs, but this volume also introduces us to Lewis’ connections with Cork, Dublin, County Down, and much more. I have been reading books by and about C. S. Lewis for the past forty years, and yet I was able to learn much from this book that I did not know before about Lewis’s Irish roots. Sandy Smith has included maps and detailed tour guidelines, making this volume the ideal companion to take along on a visit to see Lewis’ Ireland first hand. However, even if you are not able to physically travel to Ireland, this book will almost take you there. The only things you will be missing are the sounds, the smells, the tastes, and the feel of the Emerald Isle—experiences that, as a former resident, I highly recommend. I only wish I had this book when I lived there with my family. More information on the book can be found through the Lagan Press website. This entry was posted in Will Vaus and tagged Ireland.